MANILA -- The Philippines thanked the United Arab Emirates (UAE) on Thursday for making it possible for more than a thousand undocumented Filipinos to return to the Philippines under an amnesty program launched in August. Foreign Affairs Secretary Alan Peter Cayetano personally extended Manila’s gratitude to UAE Foreign Minister Sheikh Abdullah bin Zayed Al-Nahyan during their bilateral meeting on the sidelines of the 73rd Session of the United Nations General Assembly in New York. “We thank you not only for the hospitality extended to more than 600,000 of our fellow Filipinos but also for making it possible for those who do not have proper immigration status the opportunity to either regularize their stay or go home to their loved ones in the Philippines,” Cayetano said in a news release. Cayetano and Al-Nahyan met a few hours after the Philippine embassy in Abu Dhabi repatriated another 98 Filipinos, who comprised the 10th batch of OFWs who availed of the UAE amnesty. Under the three-month amnesty program launched in August, overstaying Filipinos and other foreign nationals are given the opportunity to rectify their immigration status or to return to their home countries. A total of 1,194 Filipinos have so far taken advantage of the amnesty program and have been flown home from Dubai and Abu Dhabi by the Department of Foreign Affairs (DFA) during the past two months. During the meeting, Cayetano also thanked the efforts of the UAE to ensure and enhance the rights of household service workers, such as the law for domestic workers that was signed last year. 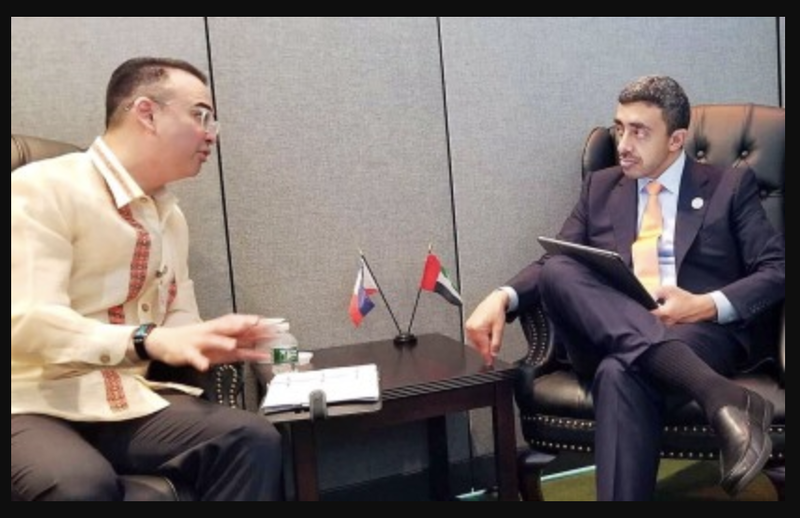 Cayetano and Al-Nahyan also discussed other areas of cooperation that both countries should focus on in the next two years, particularly in trade and investment.